Michael Young founded the Open College of the Arts (OCA) in 1987 with the aim of widening participation in the arts without prior qualification or restrictions. This article draws on my experience as a programme leader and tutor with the OCA and research from students and staff sharing a qualitative assessment of our flexible, open-access, distance learning approach to higher education. Through purposefully selected case studies, I will present how the OCA creates a space for education that accommodates a variety of tempos of learning, highlighting the importance of ‘slow creativity’ as a method of delivery. 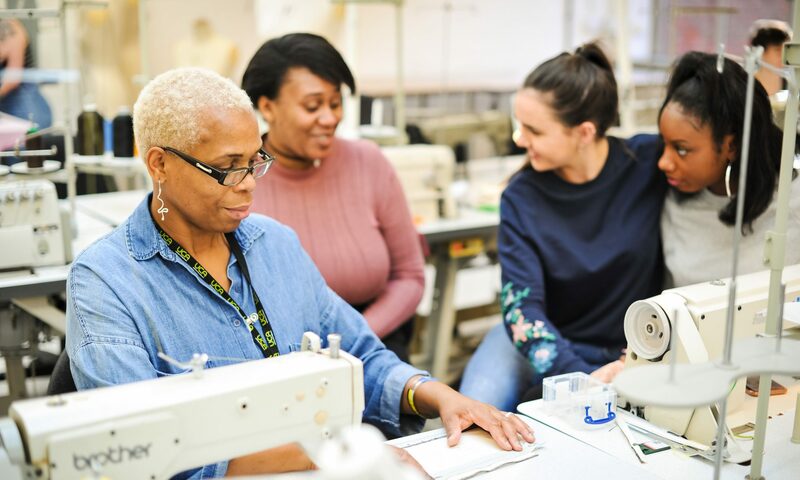 The OCA provides degree level education to students who require flexibility around their lives or for those who are unable to attend traditional bricks and mortar arts college. The findings will show how the need to accommodate the QAA Framework for Art and Design has created teaching and learning strategies that are often about how to overcome the challenges of time and distance. Examples will show how learning commmunities, the effective use of e-learning tools, and the values of the student perspective as subject connect. This paper argues that slow creativity emerges out of an academic approach that places the student at the centre of the distance learning experience. My role as programme leader for the BA (Hons) Creative Arts and BA (Hons) Drawing at the Open College of the Arts (OCA) over the last six years has immersed me within the delivery of distance education. This article shares my experience of teaching and learning, and examines our ability to offer a flexible learning environment that widens participation. Using selected samples of students work and tutor feedback from relevant programmes at the OCA, I will present key aspects of our delivery. My aim is to show how our curriculum is shaped by a flexible, open, distance learning structure which creates a space for slow creativity where necessary. Applying changes of speed at a distance and a student-led approach to creative arts education creates the opportunity for students to balance and inform their learning with their personal, social, domestic perspectives. BA (Hons) Creative Arts was the first degree offered at the OCA, and this research was carried out from 2014 to 2018 as part of my strategic review of the mechanisms for delivering a creative arts programme. My duties as programme leader have afforded me the opportunity to research and coordinate with other heads of department and management due to the broad spectrum of subjects that creative arts offers, and in this way my role has been rhizomatic within the OCA. Many of the challenges that we have faced in the last three years are due to the pressures of an increasingly competitive market of online providers of art and design courses. Our own need to move towards a pedagogic structure that aligns more clearly with the QAA Framework for Art and Design (QAA, 2017) and the OCA’s aspiration towards a connected curriculum has emphasised the importance of research, enquiry and practice (Fung, 2017). The OCA offers a distinct model for learning that is flexible and student-led. This article and research are being delivered on behalf of the OCA with approval from senior management, at a time when we need to articulate the benefits of slow creativity against the current speed of neoliberal arts of production. My findings were given first in the form of a presentation at the iJADE conference 2017 in Dublin (Chester, 2017). connecting students, the benefits of creating spaces and places for learning and discussion. This article gathered data through primary research in the form of student surveys, case studies from current OCA students and interviews with academic staff at the OCA. To better understand the mechanisms and values of students’ slow creative outcomes, a qualitative analysis of data presenting purposefully selected examples of teaching and learning methods was used to evaluate the delivery of creative arts education at a distance. Secondary sourced literature supports the values of the OCA’s flexible model of delivery with the potential for slow creativity. This demonstrates how we overcome the hurdles of time and distance to provide opportunities for students to connect and learn outside of their potentially isolated environments. The research was conducted on behalf of the OCA, acknowledging my requirement for a strategic review of the creative arts programme. OCA staff and Academic Development Officers supported my research to provide selected samples. Ethical considerations were scrutinised involving several students who had personal information, including those with aliases, who were serving custodial sentences at the time of the research. Where there was a reference to a pseudonym, this was with specific consent from the student who was no longer serving a custodial sentence but asked for their alternative name to be credited alongside the example of their work used in this article. All other references to students and staff are anonymous or by request. Images used are credited and copyrighted to individuals, with additional references as part of existing online sources in the form of OCA publicly available blogs. I have received approval for the reference to all other student research and tutoring examples. Ethical approval for these research methods was given by OCA senior management, and the research was conducted within OCA’s existing policies and procedures. At the core of Michael Young’s open access vision was his belief in a joining between the ‘British excellence in distance learning’ and the ‘equally marked excellence in the arts and crafts’ (Briggs, 2001:307). Young’s intention for the OCA to be open to all and offering a wide variety of arts courses has stayed at the heart of the OCA’s being; it was a vision of a ‘post-industrial society’ where people’s lives were enriched by an engagement with the arts (ibid., 307). Whatever changes may affect the structure for teaching and learning, placing the student at the heart of the OCA’s ethos has enhanced how we approach accessibility and a variety of tempos of learning. The OCA’s ability to offer slow creativity alongside faster modes of study (those students who choose to take out student loans will inevitably work through the courses faster) gives the opportunity to consider the advantages that this affords students who require a slower pace of studies due to life/work circumstances. Historically, the OCA’s Creative Arts (CA) programme had a catch-all approach to encompassing the variety of disciplines available to study, providing the opportunity for developing skills but not entirely engaging students with the rationale for their studies. Students and academics could ask what the point was in joining the learning on a unit in watercolour with, for example, photography. One of my challenges has been – and continues to be – offering students a wide selection of units across all levels and subjects to create a genuinely multidisciplinary programme that connects students’ desire for making with research and enquiry. Dilly Fung’s Connected Curriculum framework has highlighted the importance of academic structures that balance what students need regarding compulsory units and affording them the choice to shape their creative endeavours (2017:5-6). I will continue to refer to Fung’s work throughout this article because it so clearly presents an educational strategy that makes sense when rationalising the challenges of delivery that we continue to overcome. Our curriculum continues to evolve, shaping itself into a dynamic structure for learning, placing the student at the heart of the learning process. It combines our delivery of unit materials, using a variety of tempos for study, with the demands of the QAA Framework (2017). To give an idea of the overall timescales of a programme of study at the OCA, the maximum amount of time an OCA student can complete a BA(Hons) Degree in is 12 years, a level must be completed within four years and a unit within two years. The requirement to establish time limits has been found through a gradual process of evaluating the challenges of distance learning, against our expectations of what a student can achieve as they develop through the course structure. On average, a student spends 8-12 weeks between each part of a unit, but this can take longer if life circumstances need to be accommodated by the student. The challenge has been to acknowledge what students require when they’re at a distance, have potentially less access to resources than their counterparts in a campus-based university, and considers those students with difficulty accessing education, disabilities and at different levels of art and design. The wide range of students that choose to study with us is rewarding to see. The OCA’s Programme Leader for BA (Hons) Visual Communication describes the demographic. The OCA’s academic model has emerged out of Young’s original vision; over the last 30 years, the OCA has strived to balance educational structures with students’ aspirations that have provided the opportunity to embrace a flexible learning environment. The theme of ‘learner empowerment’ (Ryan, Tilbury, 2013:15) will be referred to throughout this article, forming a framework for a student-led approach and benefits to varying tempos of study at a distance. What I find most useful about Ryan and Tilbury’s study is the way that the learner is seen as part of the learning structure, so flexibility doesn’t just emerge from the practicalities of delivery but is also cooperative (2013:5). The opportunity for cooperative learning and teaching is part of an ongoing aspiration for my creative arts programme, certainly aiming to deliver a flexible pedagogy that Ryan and Tilbury suggest is complex and will take long-term planning from senior management. However, we can see the benefits to slow creativity if we link flexible learning structures with a connected curriculum (Fung, 2017). In the early days of the OCA, feedback to students would have happened using the Royal Mail. Tutors would receive a portfolio of drawings in the post, the tutor responding once the report was handwritten and mailed back. There would have been no opportunity for students to communicate immediately using email or video over the internet, or indeed connect. In many ways, the enormous challenge that the OCA overcame at the beginning demonstrates the amount of traction Young’s vision had. Tutor’s continue to give feedback in the form of a written report although advances in technology have created the opportunity for more tutorials to take the form of face-to-face videos online. The written report presents many hurdles; the persuasiveness of the feedback can be so strong that the subtle nuances of language need to be carefully checked, to connect the student to the guidance that responds to the different parts of the curriculum. In V. Bozalek’s article on Slow Scholarship in Writing Retreats (2017) the importance of diffraction as a mode of receiving and giving feedback between peers resonates with my approach to tutoring. Diffraction, as highlighted in this example, becomes a collaborative experience across disciplines, even though Bozalek applies this to feedback between creative writing peers; I believe it echoes the experience of giving and receiving feedback between tutors and students’ and links to the flexibility and learner empowerment that Ryan and Tilbury put forward (2013). Once the student receives their feedback, they spend time reflecting on the tutor’s comments, applying their analysis and therefore perpetuating the dialogue on their creative outcomes. I don’t want to suggest that the hierarchical arrangement doesn’t exist as in Bozalek’s example, but our aim is for students to take the time to use this feedback as part of the academic guidance, that is encouraging them to exercise their enquiry and therefore moving them towards autonomous learning. The notion of an ‘embodied narrative’ (Berg, Seeber, 2016:49) comes close to describing my experience of mentoring new tutors to ensure parity of feedback across the team. Presenting feedback in a way that communicates to the student the target of the tutor’s criticism is extremely tricky. Use too lengthy a description and the essence of the point could be lost, too short or with blunt language and the student might be turned off or worst offended. ‘Storytelling’ as Berg and Seeber put it, ‘is not lecturing’ (2016:49) but about adapting the feedback to the students learning. So, adapting to the student’s level of achievement, expectations, desires, research and so on requires tutors to be responsive to the shape of the students learning over as much as twelve years. Connecting the dots throughout a student’s study, ensuring a consistent approach by maintaining a link between units and across levels, forming connections as the amount of information on a student builds up and is passed between tutors are crucial parts of the OCA’s mechanisms for ensuring consistency. At each new stage, a tutor is required to look up the student’s history, forming an overall picture of what the student has achieved and where they want to go, feedforward from assessors and level progression discussions are all part of an ongoing academic strategy. Articulating the aims of the curriculum is also challenging to do at a distance, and the need to bring tutors and OCA staff together forms a part of the institutional need to maintain consistency, sharing and developing knowledge into a connected programme design (Fung, 2017:56). The OCA’s model of teaching and learning doesn’t, at present, integrate platforms for electronic learning (e-learning) nor does it use a designated Virtual Learning Environment (VLE), and although I will refer to information technology (IT) more generally here, it’s in the utilising of advances in technologies in the context of our teaching, rather than a full transformation into a digital environment (Harry & Dhanarajan, 1999:46). There are advantages and disadvantages in using online tools for teaching and learning at a distance; Holtham, Ward and Bohn note that for e-learning to develop “…electronic learning media need to draw on both traditional and on re-designed knowledge creation processes, with particular reference to appropriate tempo…” (2002:14). Acknowledging how the speed of studies can be affected by advances in technologies forms an ongoing process of innovation, the use of web-based forums, blogs, social networking, online libraries all contributes to student’s access to information and the connection with a broader student body. It is also worth considering the way that technology has created a space for new approaches to teaching that encompasses ‘social learning’ (Ryan, Tilbury, 2013:26). Where advances in IT break down more formal institutional structures, a space forms for the development of flexible teaching and learning practices that are always under review, that lead towards an ongoing process of enhancing the student-led experience. An argument against ‘remote learning’ comes from Berg and Seeber (2016) regarding the “The obvious difference between face-to-face and remote learning is the proximity of bodies and transmission of emotions that inevitably follows.” (34). It is a reasonable point for teachers who need to immediately respond to the subtle nuances of the students in the classroom and is overcome through the prerequisite of the one-to-one tutor-student relationship that online tools facilitate. The growing use of face-to-face, online video tutorials also adds another layer of interaction for the student, which can be complemented by the written feedback and student’s reflective commentary on both. The use of e-learning tools facilitates a flexible learning structure that overcomes some of the issues of delivery that occur with time and distance, ensuring that student and educational structures are communicating. Listening to the broader student voice within a multidisciplinary course structure, and in turn, using this to guide programme leaders, directors of teaching and curriculum, we might further consider Ryan and Tilbury’s theme of ‘learner empowerment’, discussed in point 1 (2013:14). Forming a connection between the student, curriculum and their learning breaks down traditional linear approaches to education. Due to the open-access policy of the OCA and the wide demographic of our students, we continue to place the student-led experience at the core of our academic strategy. Consistency, within the OCA’s flexible distance learning environment, comes through an analysis of the evidence gathered from the students’ perspective of the curriculum and development of learning structures to enhance the student-led experience. “Like me, The Erratic is an immigrant. It has travelled to its resting place in a process that was an upheaval. It has been shaped to fit into its surroundings until it can change no more. No matter how much it adapts, lets lichens and mosses grow on its surface; it will always be different. It is in its world but not of it. I feel a great affinity with this boulder and making this piece has reinforced that feeling.” (Eccleshall, 2017). The following example (see fig.2.) of a student’s level four photography submission shows the value of a student’s personal and domestic perspective as part of their subject for work, which you can view on the OCA’s blog (Morris, 2017). The student selected a sensitive topic that considered issues of care and responsibility for a member of their family. The learning involved enquiry and research to underpin the creative decisions that the student made, and also a creative journey that engaged them and us with a narrative that is meaningful. The tutor points out how the students contextual learning on the fundamentals of photography has contributed to the student’s knowledge and subsequent development of their body of work. Raising our awareness of a subject that is deeply personal to the student, presents the viewer with work that is relevant and affecting (Morris, 2017). The work of a Drawing HE level 4 student Erika (a pseudonym) takes us directly into her environment, following her narrative as she applies her learning, with the OCA, in the development of her drawings and paintings (see fig.3.). Selected pieces from her body of work titled ‘Postcards from Prison’ have recently been shown as part of the Koestler Trust exhibition ‘Inside’ (2017). Erika writes about her experiences and feelings that she was going through during this distressing period, as a source of inspiration for her studies with the OCA. Her series of drawings and mixed media works that I viewed first hand at the exhibition gave me a sense of Erika wanting to engage the viewer, and as she puts it “…provide a basis for debate and raise awareness of issues that surround the prison system as a whole” (Erika, 2017). Her drawings are incredibly engaging in this respect and go beyond just documenting the process of her incarceration and prison life but allow us into her thoughts and emotions. As Antony Gormley expressed in his call for interest “The show gives you the opportunity to communicate passionately expressed inner truth with the outside world.” (Inside, 2017). The outcomes of selected samples of students work shown here highlight the importance of flexibility as part of interaction and collaboration between student, course aims and tutor (Ryan, Tilbury, 2013). Harry & Dhanarajan’s report on Higher Education Through Open and Distance Learning discusses four aspects that flexible learning draws upon for delivery: it is for the people, places the student at the centre of the learning experience, the design of learning materials draws upon the expertise of its distance educators, and it creates a collaborative network to support learning (1999:60). Valuing the meaningful reasons for our students taking up a course with the OCA is an integral part of a connected creative arts programme (Fung, 2017:55). The opportunity to teach students across borders, at the margins of our society and in more traditional contexts creates the opportunity for slow creativity to flourish. The requirements given in the above statement are provided through several areas and are one of the toughest challenges for a distance learning course to deliver. For creative arts, the need to connect student communities across disciplines and into the world reflects Fung’s third dimension of the connected curriculum (2017). My Creative Arts programme still has more work to do to increase student satisfaction data that asks students if they feel part of a ‘learning community’, currently the mean average is 62% against an overall satisfaction nationally of 77% (Officeforstudents, 2018). The OCA encourages students to have access to their peers through online forums. These tend to be closed to tutors, except for those tutors who act as moderators within key discussion groups. Out of this might emerge regional groups that have a desire to meet and discuss work in a gallery or museum. Study visits are arranged through the OCA with a tutor leading a specific themed day; for example, this might centre around a significant photography exhibition, that would attract students to a centralised hub like London or Edinburgh. The challenge is to make as many of these study days as accessible as possible, to entice students out of their isolated working environments and connect with tutors and each other. A vital part of this is encouraging students to take up these opportunities, which might run counter to why they’re learning at a distance in the first place. However, successful study days have a hugely positive impact on students learning that I have experienced first-hand and in evidence gathered. The following example of connecting students through a study day (see fig.4. ), created by the Programme Leader for BA (Hons) Music OCA, shows how students’ necessity to play music together, an essential requirement for the course and performing, is facilitated. The OCA New Music Collective first met in August 2017 at the Royal Northern College of Music in Manchester. The co-leader for the day states how the group of students were encouraged to come together and ‘…rehearse and perform both student compositions and established, contemporary repertoire.’. An expansive day of study encouraged students to ‘broach new sonic territory’ (Wayte, 2017) with improvisation techniques responding to graphic scores. Creating study days with a multi-layered approach to learning, connected to the curriculum framework, creates the space for students to make connections, learn and receive critique, all of which they can take away with them when they return to their distance learning environments. The OCA student association (OCASA), is encouraged to create opportunities for student groups to form regionally and across disciplines. My experience and interest here are in the engagement of students in cross-disciplinary workshops. These bring together students from any of the creative arts subject areas, creating a space to critically discuss and learn from each other’s work, as Fung states “having opportunities to make conceptual connections between their own subject(s) and other disciplines” (2017:69). I recently ran a workshop day for a south-west group of students, which considered their approach to slow learning and questions around the curriculum. The following extract is from an HE level six photography student. She describes the impact these workshops have had on her. Study visits and workshops have balanced distance learning with the student’s need to meet, look and talk about each other’s creative work, away from the comfort zone of their subject areas. Therefore, students are furthering the application of their knowledge and understanding of the creative arts, broadening their analytical ability and being given the time and space to do so. By the time a student reaches their final level of education up to eight years may have been spent in the development of their creative practice. Most students will have been balancing the demands of life, work and study, which has taught them a valuable skill, that is how to find the time to make work in a busy world. A flexible approach to distance learning enables students to work towards goals that are personalised, maintaining a close link between their practice and intentions for studying. The benefits of an academic distance learning model that places the student at the centre of a flexible framework, and the opportunities it creates for dynamic reinventions of programmes, I hope to integrate further into my delivery of creative arts. The ideas of co-creational learning, a personal narrative, multidisciplinary learning spaces (Ryan, Tilbury, 2013) and connecting students practice with research and enquiry (Fung, 2017), underpin the benefits to an evolving strategy that needs to accommodate time and distance. The way this is delivered is being upgraded all the time, as new online learning environments provide opportunities for dynamic new ways to engage students with their research aims. Slow creativity versus the speed of neoliberal arts production, how do we assess the benefits of each and apply this to a flexible pedagogy? How is the OCA’s developing model of e-learning different or comparable to other distance learning providers in an increasingly growing and competitive global market? Is the OCA an agent for social change, through our delivery and broad demographic, is this any different to widening participation policies in other traditional HE institutions? Does distance learning provide better or worse opportunities for work after leaving when compared nationally, what are the expectations for professional or sustained practice? In conducting my research, over a four-year period, for the strategic review of the creative arts programme I lead, I recognise that new data and further analysis of methods are emerging all the time. In many ways, my ability to strategically develop my programme has been subject to the same forces of time and distance that have been discussed, creating a slow pedagogy as my method for leading. It might be worth considering how, through the continuing development of learning approaches and materials, academics might acquire more time and space to think, through funded research and enquiry, and given time by institutions to respond to the challenges that emerge. Whether students choose to work at a slower or faster pace is governed by the OCA and Michael Young’s original intentions, that placed the student learning experience at the heart of an open access arts education. That’s not to say that there isn’t something in this for academics as well, the environment for slow creativity to emerge creates a space for contemplation; for example, taking a moment to carefully consider the appropriateness of language in the delivery of feedback and applying this to a creative decision. As the OCA reaches a significant thirty-year milestone, we will continue to articulate the benefits of our educational model and values of our students that we aspire to align more closely with a connected curriculum and flexible pedagogy, that looks forward to meeting the challenges and expectations of an increasingly demanding HE environment. Doug Burton is Programme Leader for BA (Hons) Creative Arts and BA (Hons) Drawing Degrees at the Open College of the Arts (OCA) as well as a tutor in visual studies, drawing, printmaking and sculpture. He is a practising artist and member of the Royal Society of Sculptors and an alumnus of the Royal Academy of Arts Schools. His work is multidisciplinary, exploring the interconnections of matter across a nonlinear continuum. Allen, J. and Rowles, S. (2016) Professional Practice: 20 Questions. London: Q-Art. 301-306. Berg, M. and Seeber, B. (2016) The Slow Professor: challenging the culture of speed in the academy. Toronto: University of Toronto Press. Bozalek, V. (2017) Slow Scholarship In Writing Retreats: A Diffractive Methodology For Response-able Pedagogies. South African Journal of Higher Education, 31(2). 40-57. Braedley, S. and Luxton, M. (2010) Neoliberalism and Everyday Life. Quebec: McGill-Queen’s University Press. Briggs, A. (2001) Michael Young Social Entrepreneur. Basingstoke: Palgrave. Fung, D. (2017) A Connected Curriculum for Higher Education. London: UCL Press. Harry, K. and Dhanarajan, G. (1999) Higher Education Through Open and Distance Learning. Routledge: London. Holtham, C., Ward, V., Bohn, M. (2002) Slow Knowledge: the importance of tempo in debriefing and individual learning. In: OKLC2 Conference. Athens: OKLC2 Conference. 1-21. Excellent piece. As Gwenyth’s tutor I can only reaffirm – were reaffirmation needed – that the ‘video tutorial’ played a huge part in identifying the importance of the ‘erratic’ to her. Sometimes a small or incidental study has a vivid or speculative, inquisitive quality. Picking up on a student’s enthusiasm for such a work (or its subject) is much easier if you can see them, even if via a monitor. We are, I suspect, making baby-steps – that feel like huge strides – into a new way of learning and mentoring? The OCA is leading the way here and the knowledge gained by tutors name students about the mechanics of this method deserve serious attention. Thank you for your comment Bryan, and for providing additional insight into the ways in which OCA tutors support learning at a distance. OCA is indeed pioneering innovative ways of providing creative education at a distance, and has done since its foundation. I very much hope that JUICE will provide a forum in which these innovations can be brought to wider attention, as they have positive implications for teaching and supporting learning beyond the creative arts.